The RBC's in the background appear normal. The important finding here is the presence of many PMN's. 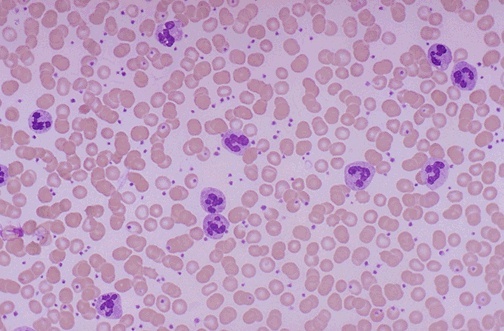 An elevated WBC count with mainly neutrophils suggests inflammation or infection. This neutrophilia increases the total WBC count. This neutrophilia consists of segmented neutrophils and band neutrophils, but not eosinophils or basophils.